Drivers dropping off passengers can access the FREE DROP OFF ZONE. This is convenient located directly outside the terminal. This facility is FREE for up to 10 minutes. A special assistance vehicle is available for passengers with reduced mobility. 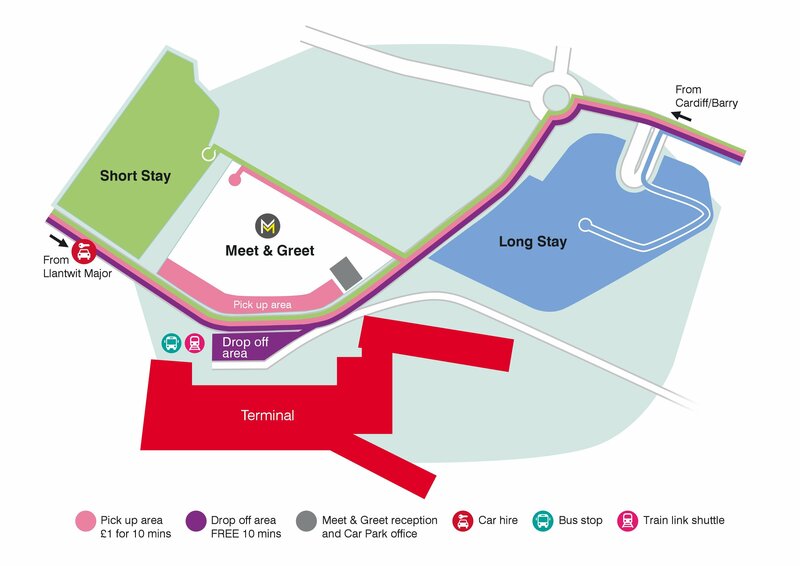 A drop off and pick up area is also available in Long Stay. The first 20 minutes are FREE. There is also a special assistance vehicle available for passengers with reduced mobility. ATTENTION: Please do not pick up or drop off passengers on the approach roads as this creates traffic congestion, health and safety hazards and increases the walking time to the terminal.